They were two of the biggest movies in terms of box office this summer - and likely for all of 2012, yet the battle between The Dark Knight Rises and Marvel's The Avengers opened a new front in the artistic sphere. TDKR made just over $1.07 billion worldwide (with a $250 million production budget), while Marvel's The Avengers roared on with a $1.511 billion worldwide gross (and a production budget reportedly at $220 million). One cinematographer offered up his own impressions about the rival's merits, calling it "appalling." 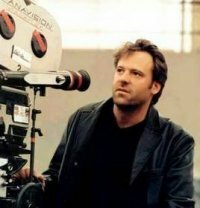 Wally Pfister won an Oscar for Inception as well as three nominations for Batman Begins, The Presige and The Dark Knight. He is even embarking on his own foray into the director chair on an upcoming project next year said that his past work as a news reporter and in documentary helped him to "reduce the amount of artifice" in his work. Though he has won recognition for his work with TDKR director Christopher Nolan on the Batman franchise, he admitted to not being much of a "super hero fan" and said his reaction was surprise when Nolan first approached him about doing Batman Begins. "I was like, really? A guy in a rubber suit?" Pfister is quoted as saying in the Herald-Tribune speaking to a film class in Sarasota, FL. He also gave his opinions on Marvel's The Avengers, when asked what was most important in shooting a film. "What’s really important is storytelling. None of it matters if it doesn’t support the story," said Pfister. "I thought The Avengers was an appalling film. They’d shoot from some odd angle and I’d think, why is the camera there? Oh, I see, because they spent half a million on the set and they have to show it off. It took me completely out of the movie. I was driven bonkers by that illogical form of storytelling." Pfister, who along with Nolan has been steadfast advocate of film over digital, said The Prestige was his most "artistically fulfilling" and prefers TDKR among the Batman films. "I liked my work best in the last one, of course, because anything I felt I’d done wrong on each one, I’d right on the next one," he said. He added that he'd "never say never" to any Batman 4 project. "I’m fortunate enough to have been successful enough that now I want to fulfill myself artistically. I guess I might do it right at the point where I had to sell my house." His directorial debut is currently casting, but only gave a hint at details. "I can’t talk too much about it. It’s a present-day science fiction film, a fairly big concept. It’s bigger budget — not as big as Batman, but not independent. Pfister is right regarding The Prestige (still Nolan's only great film). However, clearly he wasn't watching much through his lens on TDKR since it's a appalling piece of crap. Nolan can't shoot action for his life (he always stuffs his camera in too close and then chops the scenes to ribbons). Shouldn't it be the cinematographer's job to tell the director "this is not working"? he didn't here. Obviously, he can't diss the movie he worked on, so he dissed another. MAYBE it's secret code for TDKR is terrible, but I really can't say that. I'm no "super hero" movie fan either, but at least Whedon knows where to put a camera to tell a story. Hey Baco u r right when u say u r no Fan.them mayb u shld keep your stupid troll comments to yourself. u clearly have no concept of good film making.Mr Nolans first movie following is a million times better then any nazi crap u cld think of.since u have no imagination shut the hell up.thank you. Hi John. Thanks for your lovely post. In a democracy, I'm entitled to my opinion just as much as you are entitled to yours. So, I'll continue to say whatever I like, when I like. Have a nice life. Hi John.Thanks for your reply.you are right we are entitled to are opinion.sorry for being rude and your nice reply truly did rake Coals on my head.Proverbs 25:21,22. How about posting a link to my story, as well as excerpting all my quotes? Hi there - the article does indeed link to the source within the body and again in the source citation at the bottom. huh looks like some people cant face the fact...... both avengers and the dark knight are good but one is more dominate and that is the dark knight sorry little kids if your disappointed to here this but batman is more emotional it has a much more stronger story.... i say you go Nolan I'm with you all the way! Putting aside Pfister's comments about The Avengers, his "present-day science fiction" project sounds mighty interesting. Hopefully he can translate his filmmaking ability to the director's chair, as I'm always game for a good sci-fi flick. Smaller budget AND a bigger domestic & worldwide take? Higher Rotten Tomatoes critic (92% vs. 87%) & audience (96% vs. 92%) scores?